Takeaway: After the tragic death of his bonsai tree, Alan Ray did some research on which soil he should have used. Here’s what he found out. I stared in relative disbelief at the rust-coated plant on the table in front of me. If Chernobyl produced a Chia Pet, this would be it. If it were a building, the city would condemn it. Only months ago, it was a beautifully green, happy, and healthy little bonsai. What happened? Overall, I’d say I’m pretty good with plants, so I was truly puzzled as to what process transformed my oriental ornamental into this ghostly doppelganger. I’d fed it, watered it regularly, and even introduced nutrient-packed soil to replace the old medium, yet still it fried. So, with my dream of becoming a bonsai artist now toast, I began backtracking my care of this little plant to discover where I’d gone wrong. As it turns out, pretty much everywhere. One of the major sins I committed had to do with the soil—I introduced the wrong type. Apparently, all soils don’t always work for all plants, trees, and vegetables. So, I decided to learn more about soil types. Here’s what I dug up. First, the pH of your soil is important. 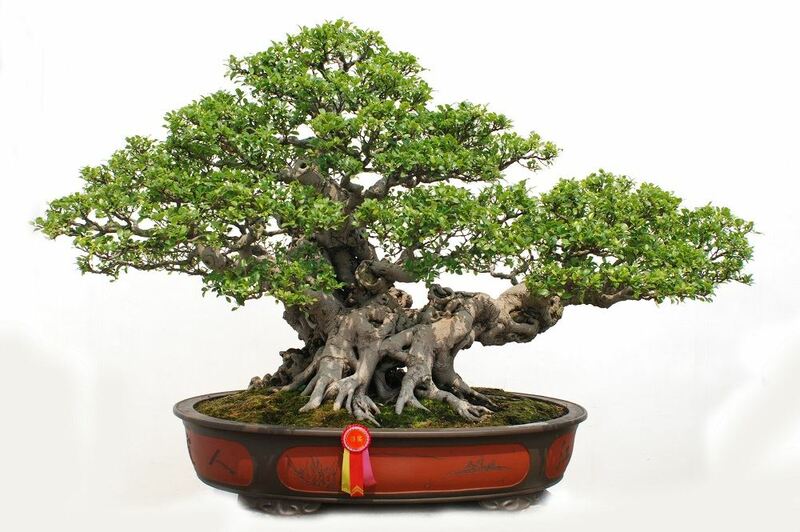 Bonsai trees love an acidic grow medium, one with a pH level between 4.0 and 5.5. The soil I used—some leftover alkaline soil in the wrong bag—wasn’t the right type or nearly acidic enough. With a pH of over 7.0, it prevented the tree from absorbing the nutrients. Now, if my soil had been only slightly off the pH mark, there is a world of simple solutions readily available to restore balance. There just wasn’t any saving myself this time. Secondly, the new soil I used was the wrong texture. Soil texture changes depending on the ratio of its main components—clay, sand, and silt. A balanced combination of these three makes for a general or everyday soil often referred to as loam. Loam, which is gritty and sticky to the touch, is easy to work in and is free draining. Clay and silt soils, on the other hand, are dense and not gritty. They can be easily rolled into a ball and they dry very hard. They also hold water and nutrients well. Additionally, the density of clay soil makes for harder work in the garden, takes longer to warm up after a cold winter, and can prove difficult for certain plant’s roots to penetrate. Sandy soils are light and airy. It feels gritty to the touch and will fall apart while being rolled into a ball. A sandy soil works well for those plants that require less watering as all the gaps between the particles make for good drainage. However, its porous composition also allows for the washing away of valuable nutrients. So, regular feeding is important. There are also hybrid soils that can be identified with their textures. Sandy loam forms a ball but breaks up easily, sandy clay rolls into a ball with a rough and scratchy outer texture, and silty loam has a slippery feel with a silky texture. Well, there you have it. Before you plant or replace your soil, go online and learn why kind of soil you need for what types of crops you are growing. If, unlike me, you get the correct soil with the right texture, the proper nutrients, and the right pH, you will avoid causing your garden undue harm. Your plants will truly thrive, and you’ll save yourself a lot of unnecessary work trying to nurse them back to health.